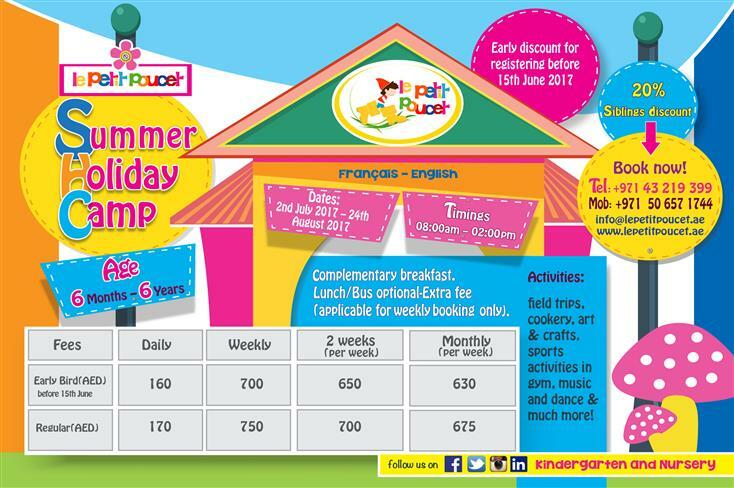 The best camp in town! 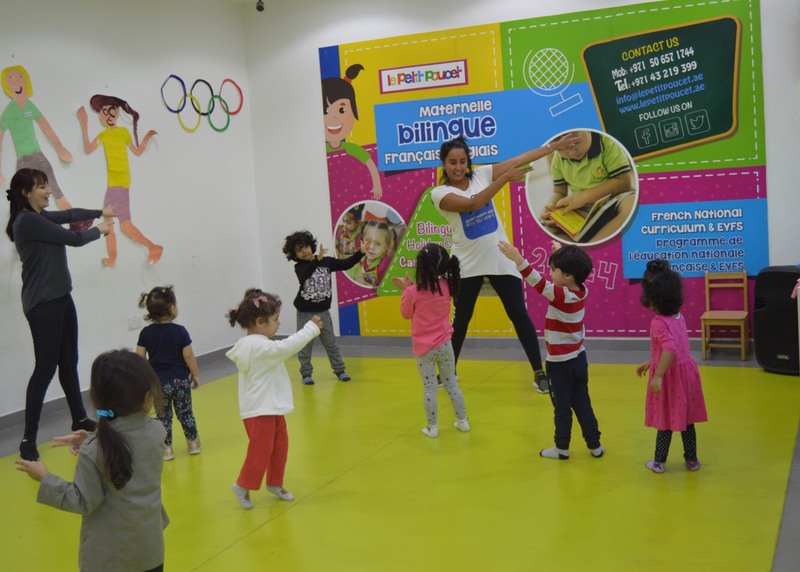 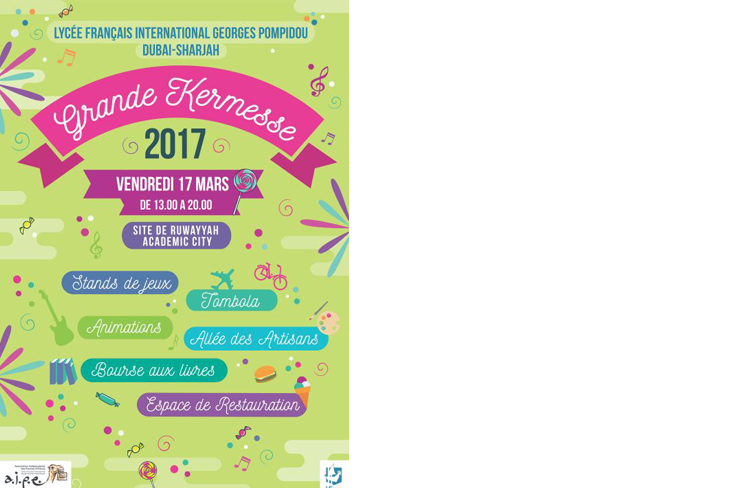 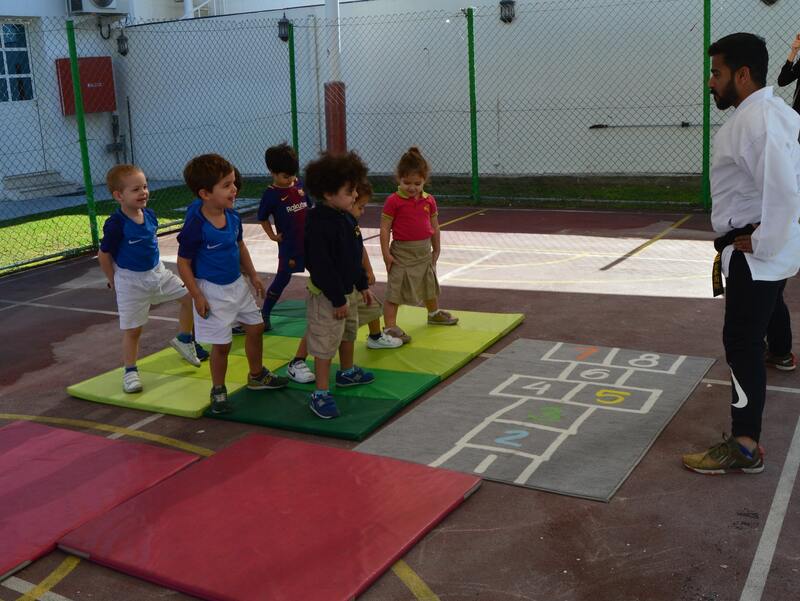 Sports Days at Le Petit Poucet! 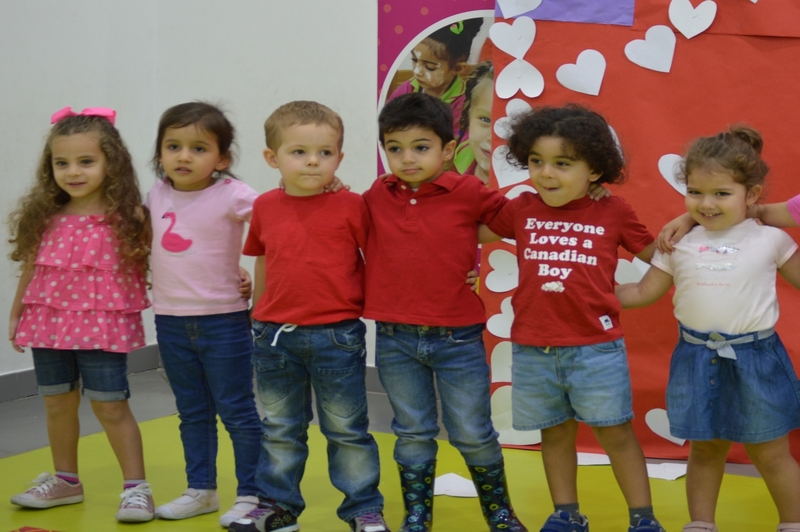 Winter Camp 2018 – Week 3: Highlights of the week! 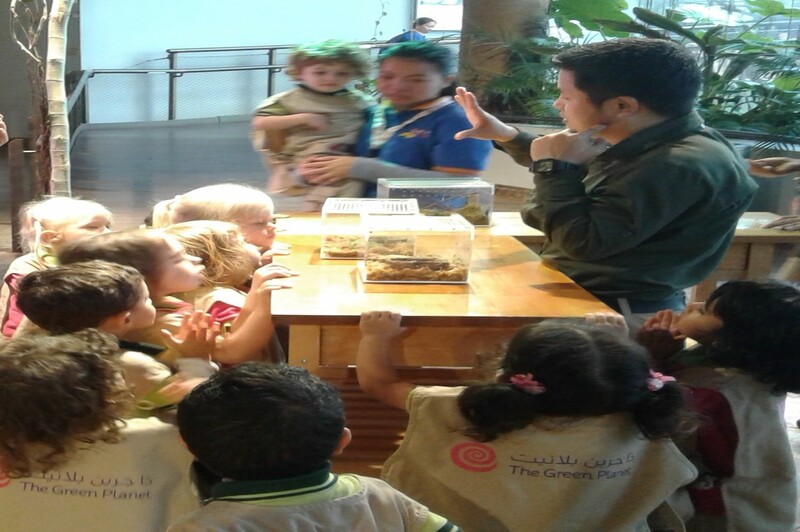 Le Petit Poucet Winter Camp 2018: A first week full of fun and discoveries! 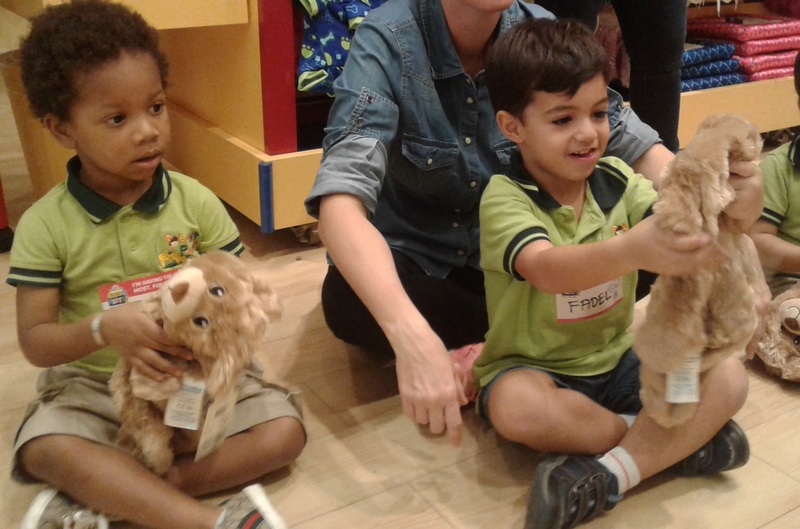 Field trip to Ceramic Café! 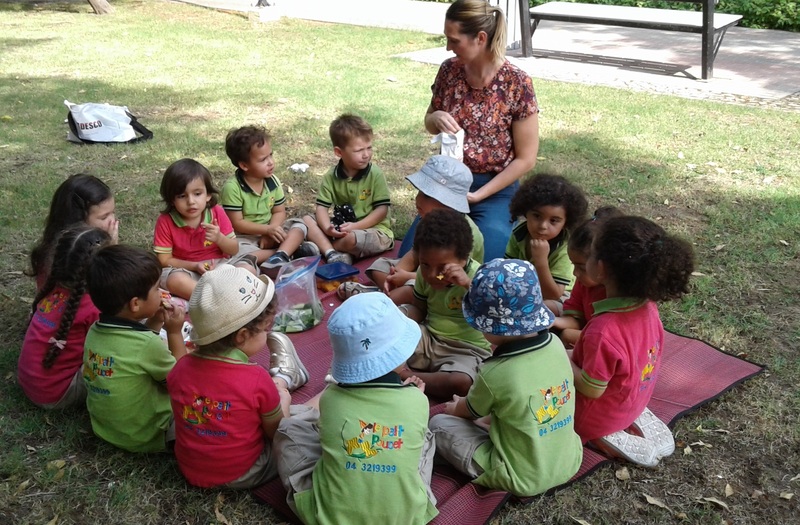 A day for a Pic Nic! 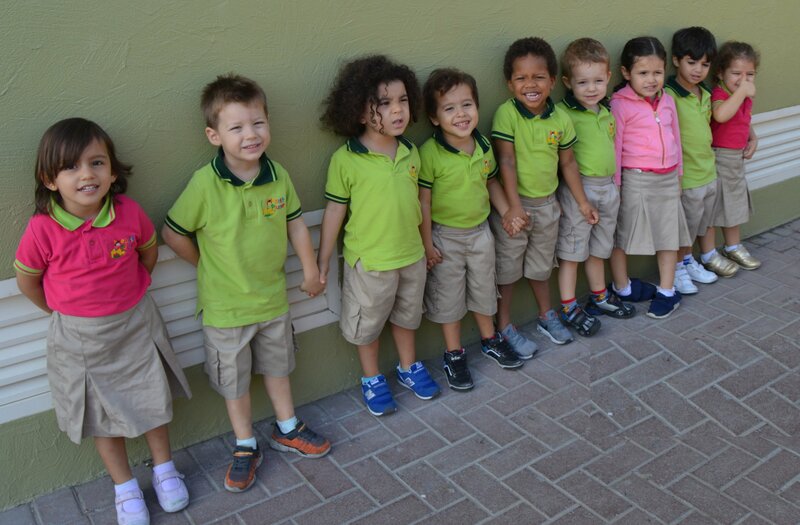 We congratulate all our students on this great achievement & we wish them the best of luck for the coming year. 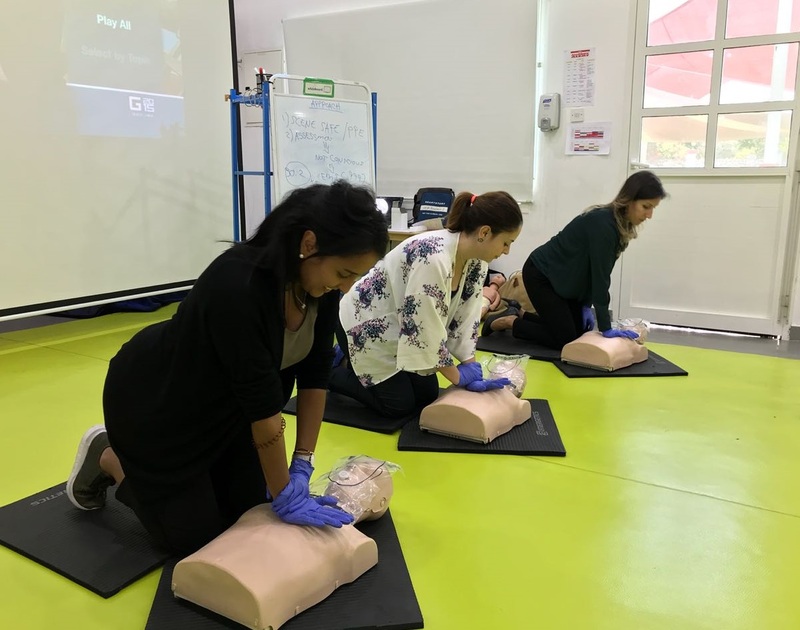 Workshop held by Drs. 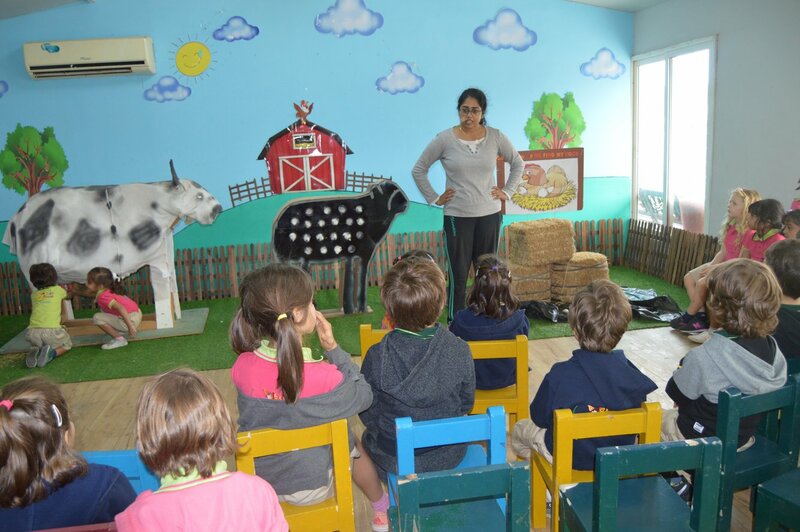 Nicolas & Asp dental Centers to educate children on oral health. 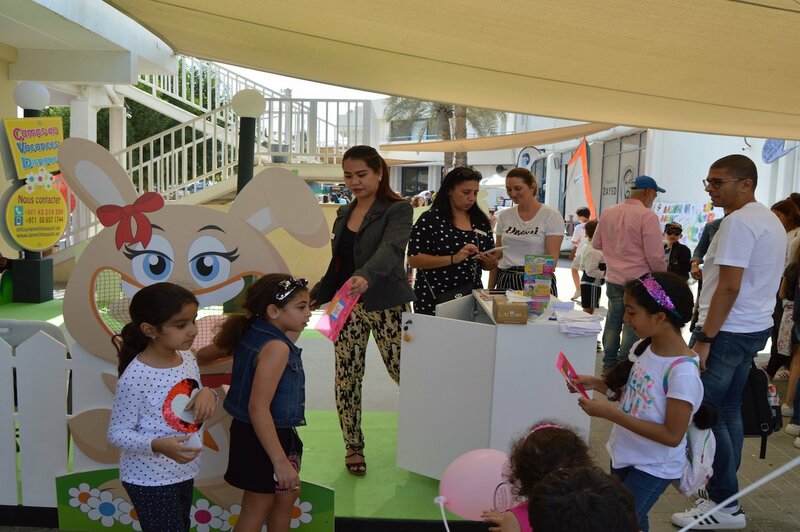 We can never say thank you enough to our loving mother’s but we can try !! 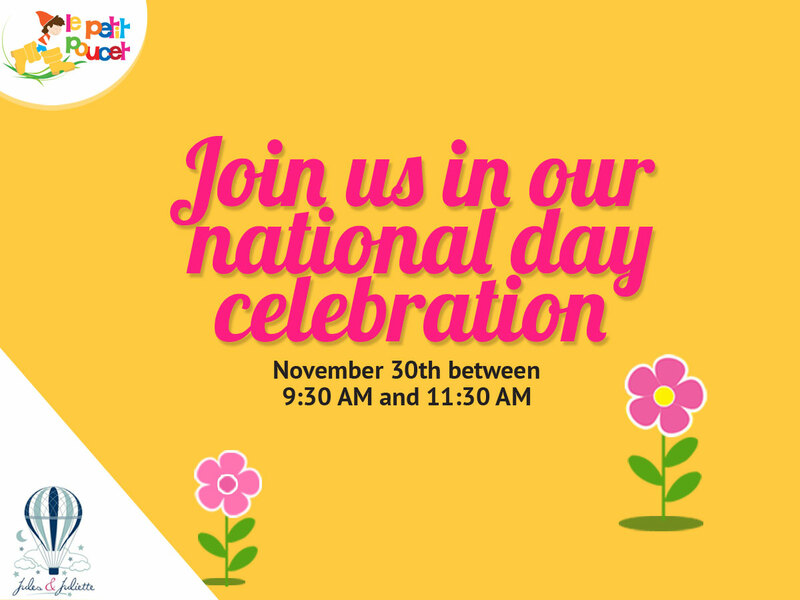 we want you to feel so special on your special day! 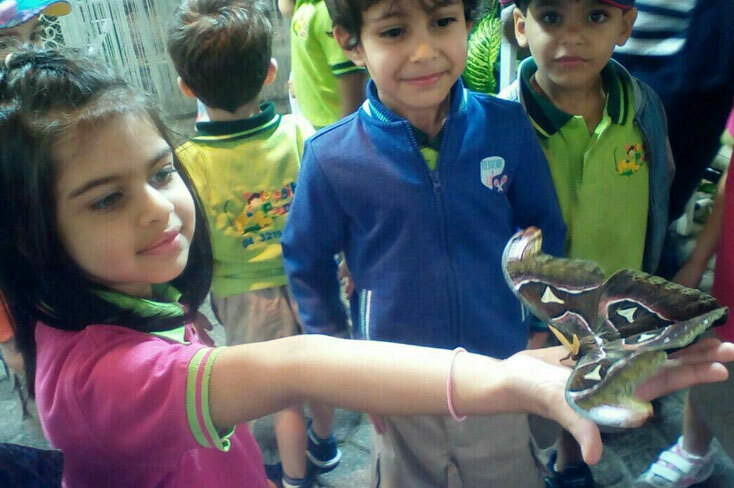 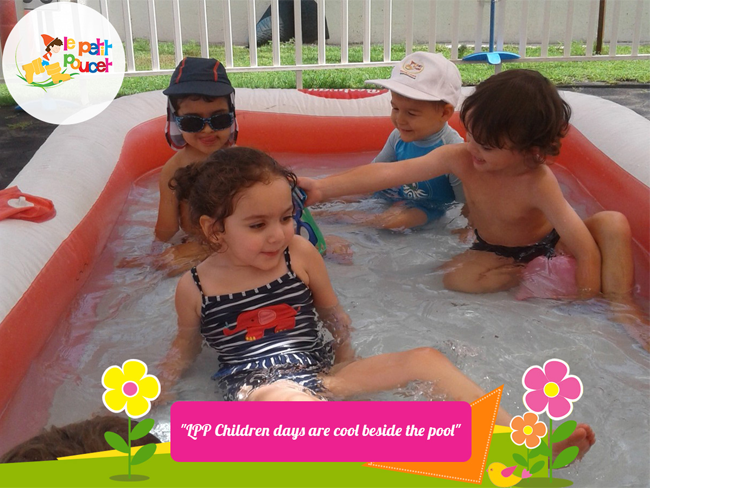 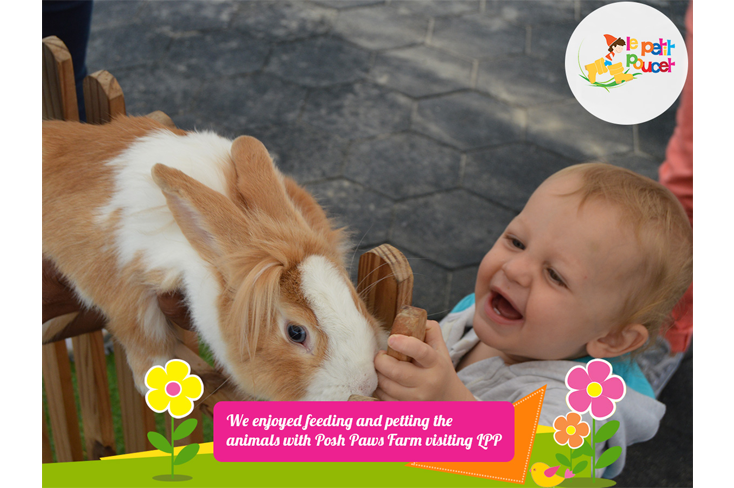 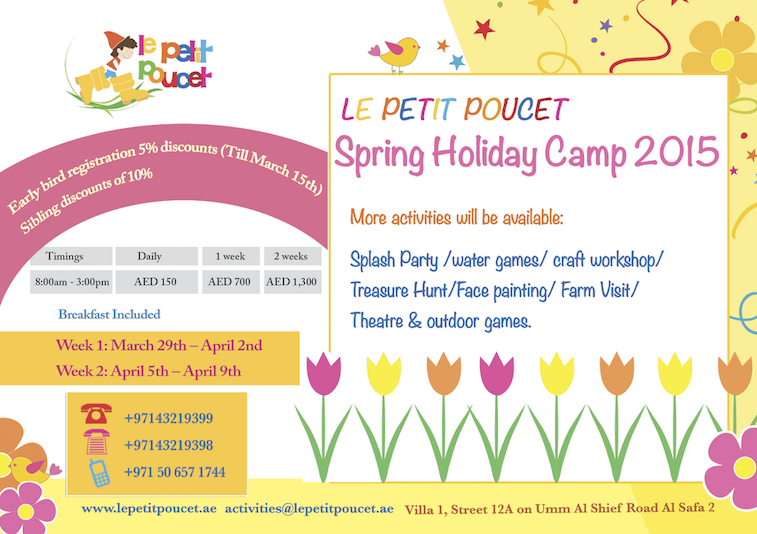 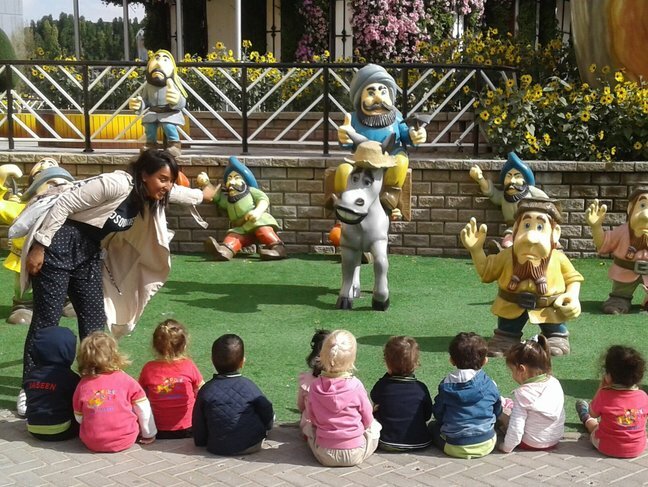 After having a blast with the ‘Holiday Camp’, Le Petit Poucet is gearing up for “Spring Holiday Camp 2015“. 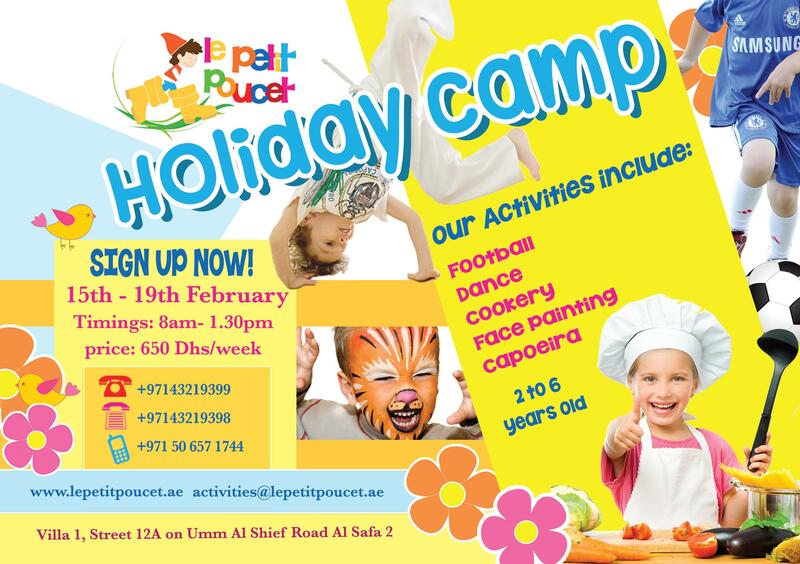 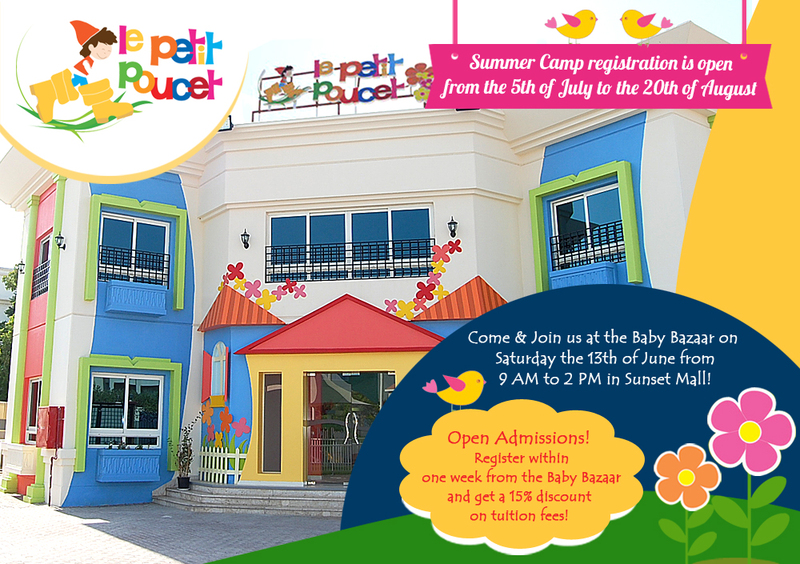 It gives us immense pleasure to put forth another happening camp for your kids to enjoy fun-filled activities. 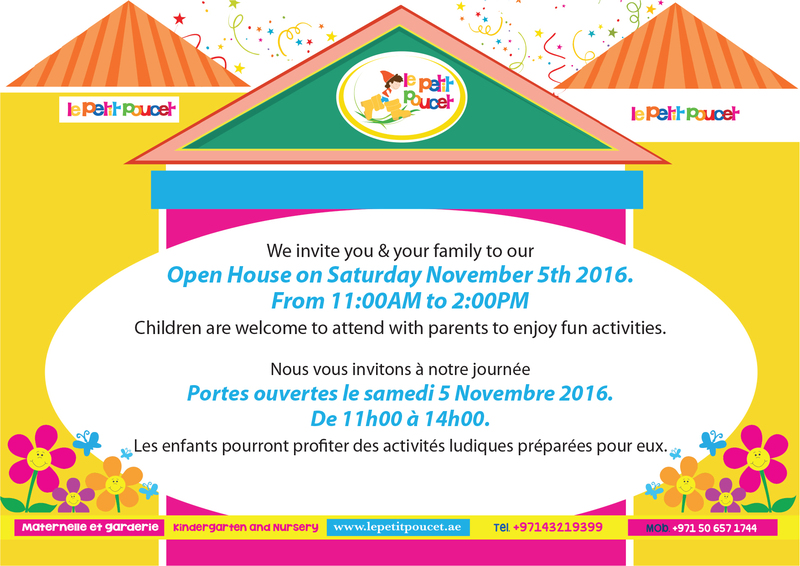 Post by Le Petit Poucet. 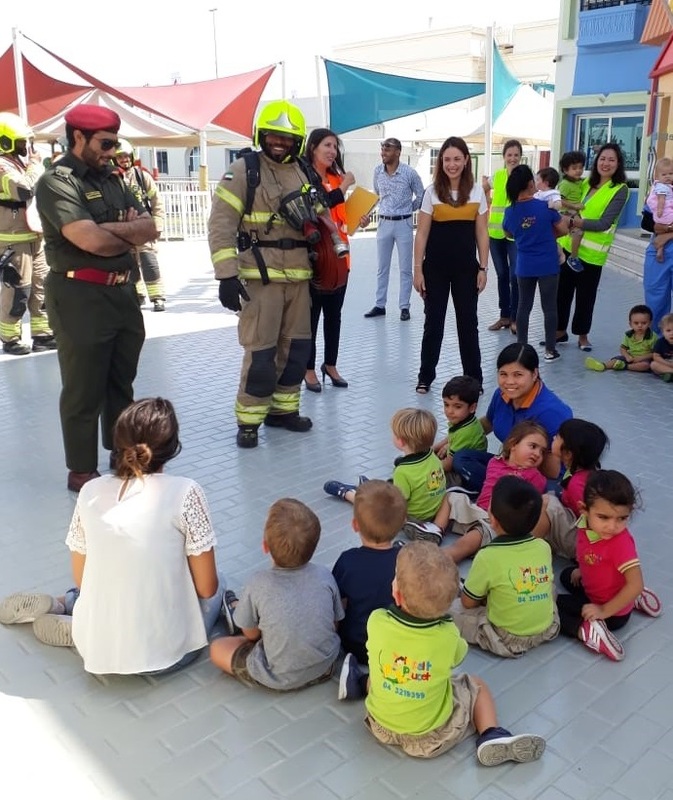 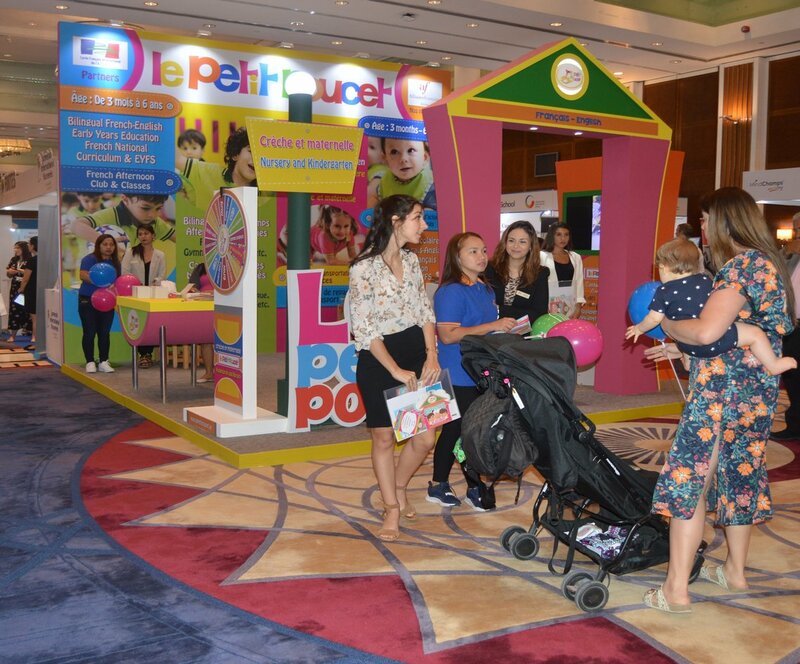 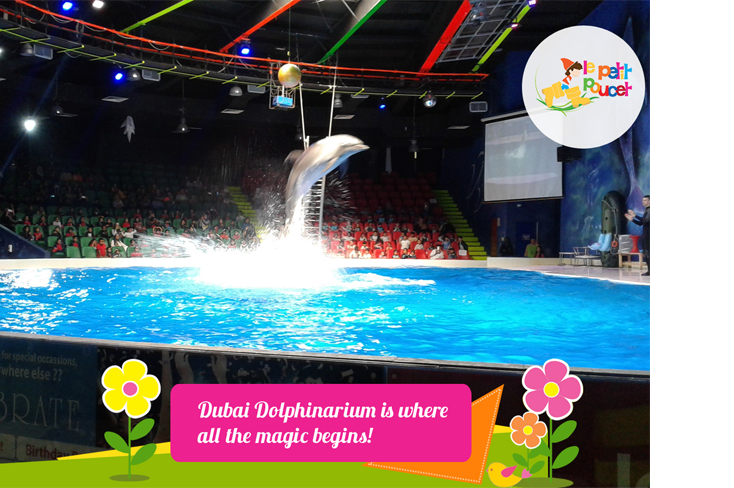 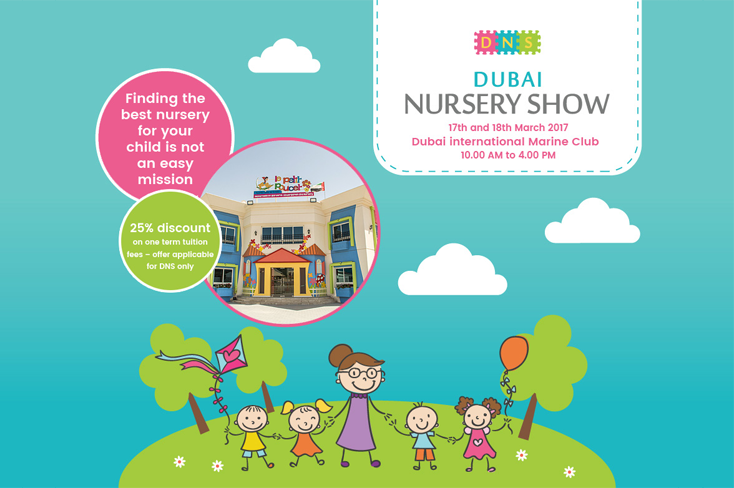 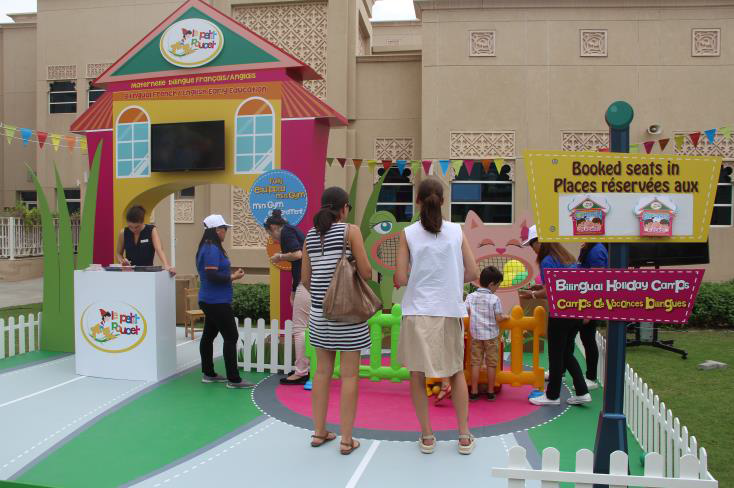 Hosted in conjunction with Baby Bazaar, the Dubai Nursery Show will take place at Dubai International Marine Club from 9am to 5pm on the 24 & 25 April 2015. 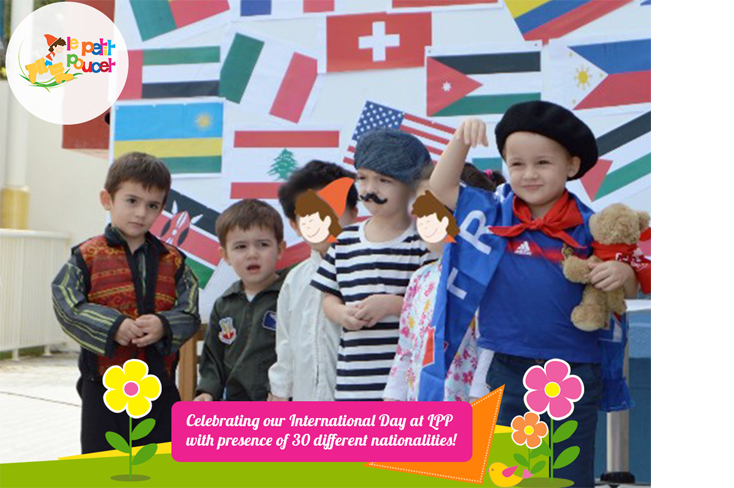 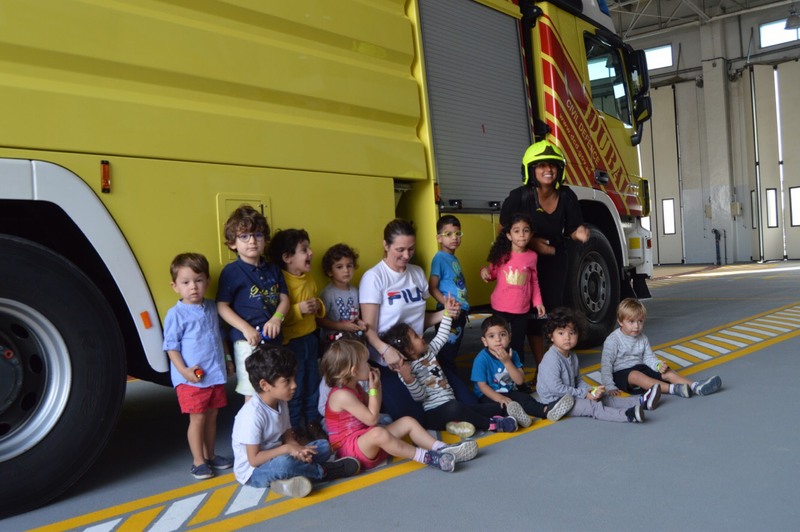 Le Petit Poucet Nursery joined the United Arab Emirates in celebrating its 43rd National Day on December 2, 2014. 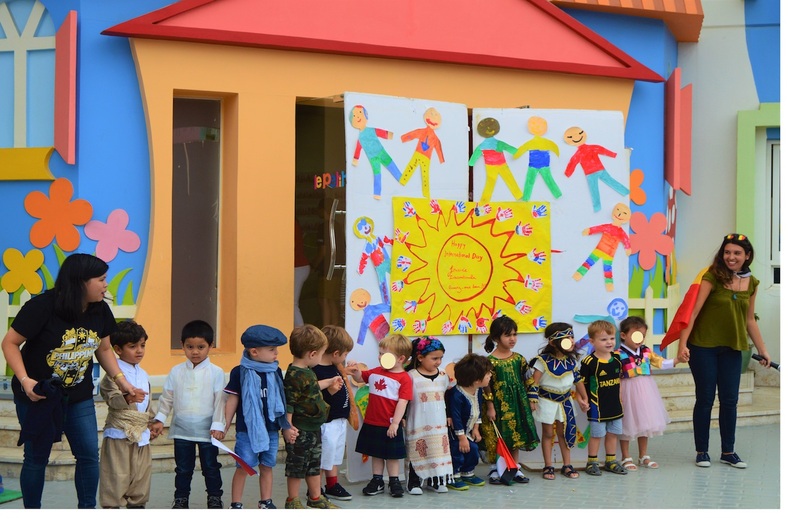 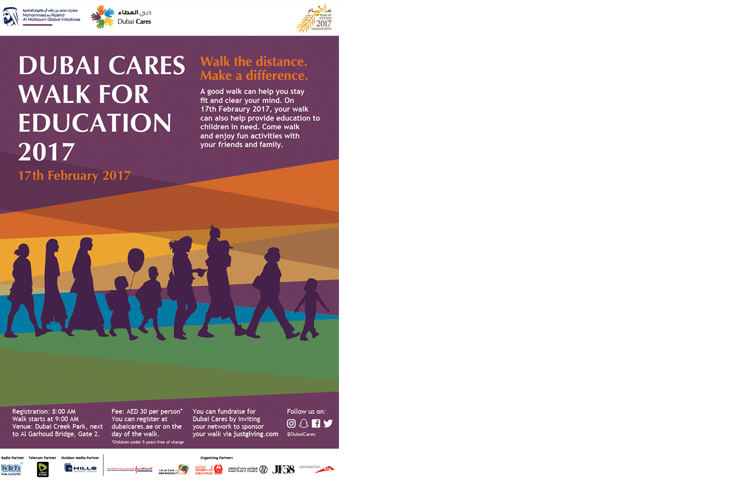 The holiday marks the unification of the seven emirates and the founding of the country in 1971 under Sheikh Zayed bin Sultan Al Nahyan, the first president. 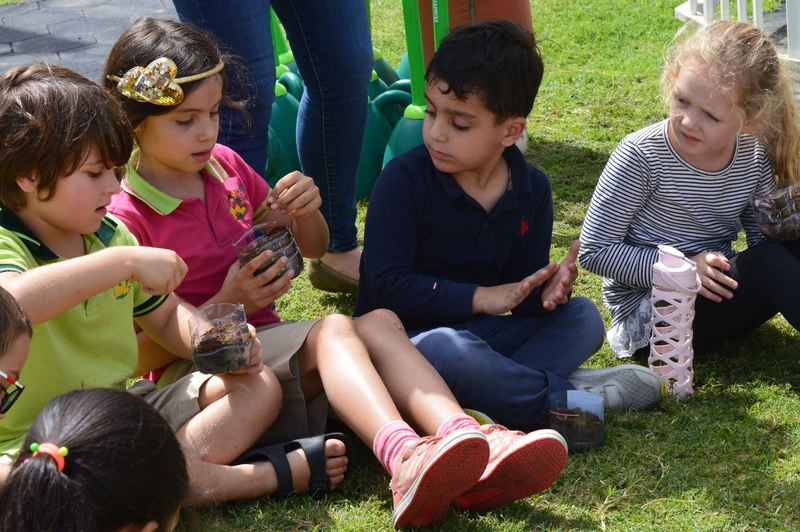 As part of our partnership with you, Le Petit Poucet Nursery and Kindergarten is glad to invite you to participate in a recycling project in coordination with “Keep It Clean“.